Lennox female from the Parade of Champions sale. Huacaya female, unproven, medium brown. 17 micron at 2 years! The type of female to improve any herd! 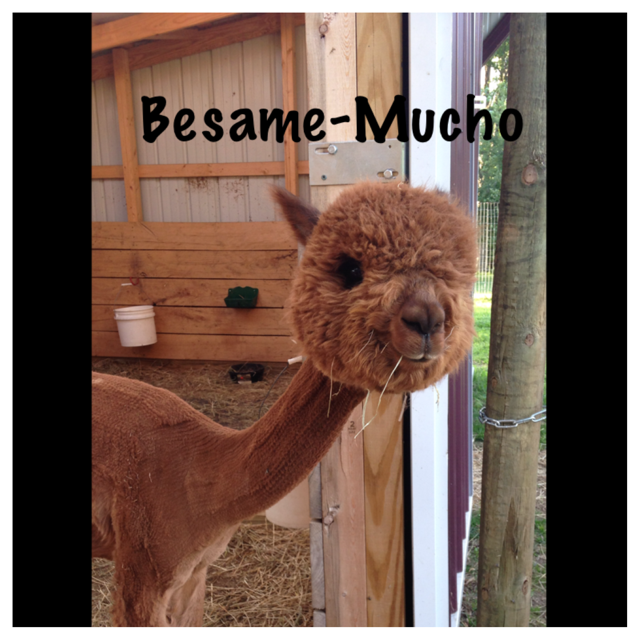 Besame-Mucho comes to us from the legendary Patagonia herd. She is the culmination of award winning breeding, sired by none other than the legendary Patagonia’s Lennox. Her extreme high quality qualified her to be in the renowned Parade of Champions sale at Little Creek Farms. 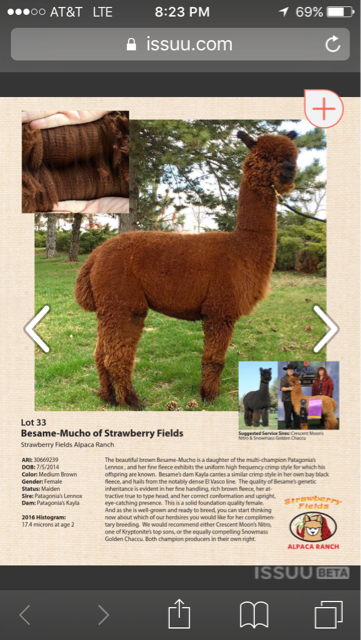 We had the honor of bringing her home to Sundrop Alpacas and introducing these elite genetics to the Midwest. We’ve brought her into our herd as a foundation female. 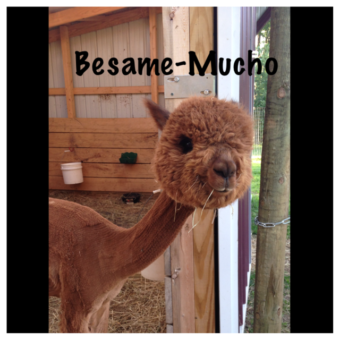 Besame is bred to produce long-lasting fineness and the highest quality fleece. As a bonus she brings a very mellow personality full of curiosity which delights us every day. These are the traits we seek in developing the industry. Good natured animals with fantastic fleece qualities that will deliver for years to come. For these reasons, Besame is a foundation female in our herd. Look for her offspring on our farm, or perhaps in the showring as well. We predict a very bright future for this young lady.